As liquidation looms for Sears and Kmart, many consumers are wondering if there will be any liquidation sales. And if so, will they be any good? This has happened before, like when Toys "R" Us went out of business in late 2018 and had liquidation sales. While you might expect steep discounts on popular items before a company closes its doors for the last time, that may not be the case. Depending on how a store gets rid of leftover merchandise, you could actually end up paying more than what the same items cost at a competing retailer. Here’s how to shop at a going out of business sale without getting fleeced. Big stores often sell their wares to a professional liquidator. If a retailer is only closing a few locations, don’t expect to find the best merchandise sitting around in a store that’s soon to be shuttered. Chances are it will have been moved to a location that’s staying open, where it might have a better chance of selling. Things are different if the entire chain is folding, however, and shoppers should be aware of the difference. 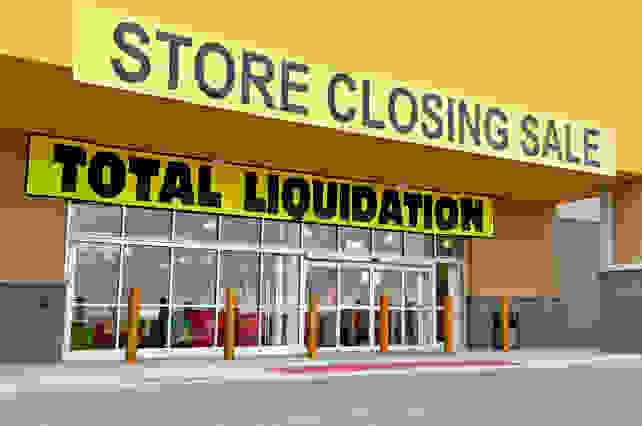 “Liquidation sales are very different from regular, ordinary sales going on in the store,” said Dr. Tony Gao, an associate professor of marketing at the University of Massachusetts Lowell’s Manning School of Business. With Sears on the brink, what are shoppers to do? That’s because most major retailers use professional liquidation companies to move merchandise. These liquidators—like Great American and Tiger Direct, who handled HH Gregg’s liquidation—often buy remaining merchandise outright. So even if the retailer’s name is still on the front of the store, you’re buying that new camera or laptop from a liquidator. As a result, the store’s ordinary return policy may not apply, or coupons may not be valid. Make sure to read the fine print before you buy. These signs are down to a science. 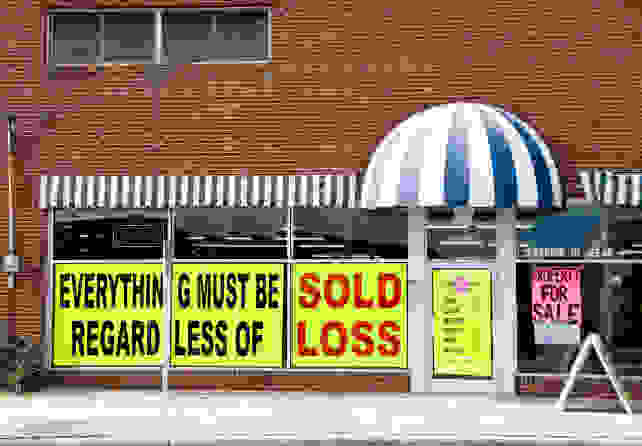 Even those red-and-white signs that proclaim, “EVERYTHING MUST GO!” are there for a reason. 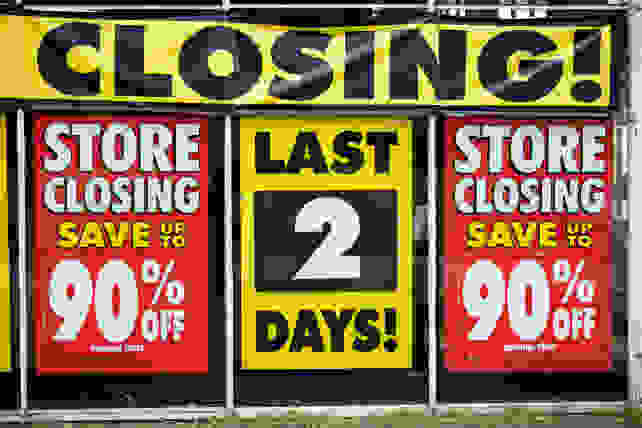 Liquidators have done thousands of going out of business sales, and they know what works. Indeed, it’s not uncommon for liquidators to warehouse merchandise from closed retailers, and move it to wherever they think it might sell. Anything left behind goes back in the warehouse until it’s time to liquidate another retailer—which is why you might see discount furniture at an electronics store, or outdated fashions at a clothing store. To avoid getting sucked in, ask yourself if you actually need what’s going on sale. If you do, check prices from other retailers on your phone to make sure you’re getting a good deal. Smaller retailers sometimes offer better deals. 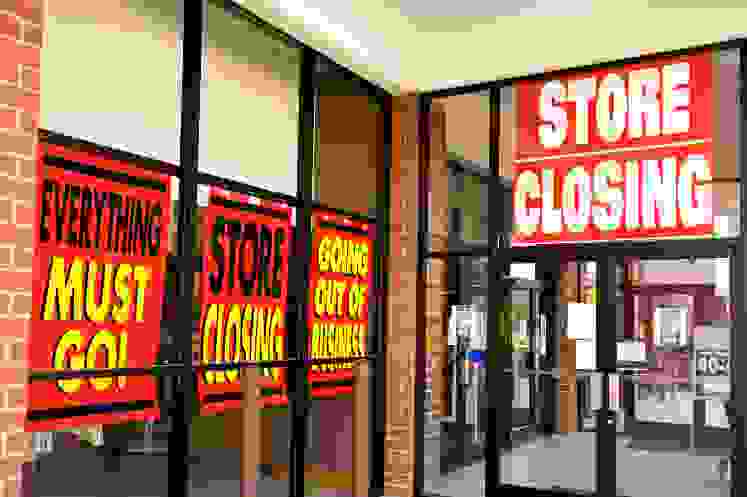 Although major retailers tend to rely on liquidators to empty stock, shoppers can still sometimes find deals when smaller stores or specialty retailers go out of business. “The larger stores play more games than the little stores,” said Bob Nelson of Power Retail, a Phoenix, AZ-based liquidation consultant. Many of the smaller customers Nelson works with are shutting down due to an illness or retirement. They’ve often been fixtures in a community, and want to maximize the value of their inventory without upsetting loyal customers. “The larger stores play more games than the little stores."